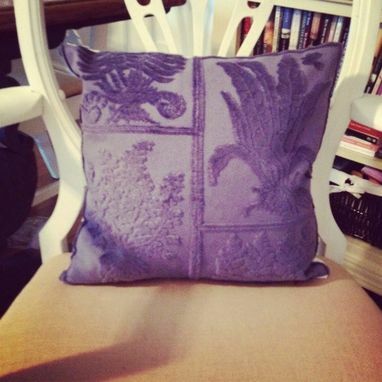 This soft purple pillow is eclectic, electric, and completely classic. The velvet embossed botanicals give it an air of sophistication, set off by the popping purple color. This on-trend hue is rich and vibrant and creates the perfect accent pillow. Pillow cover is backed in a textured white and has a knife edge finish. Hidden zipper closure at bottom. Dimensions: Finished pillow is 13" square, perfect to make your 14" pillows appear plush and luxurious.